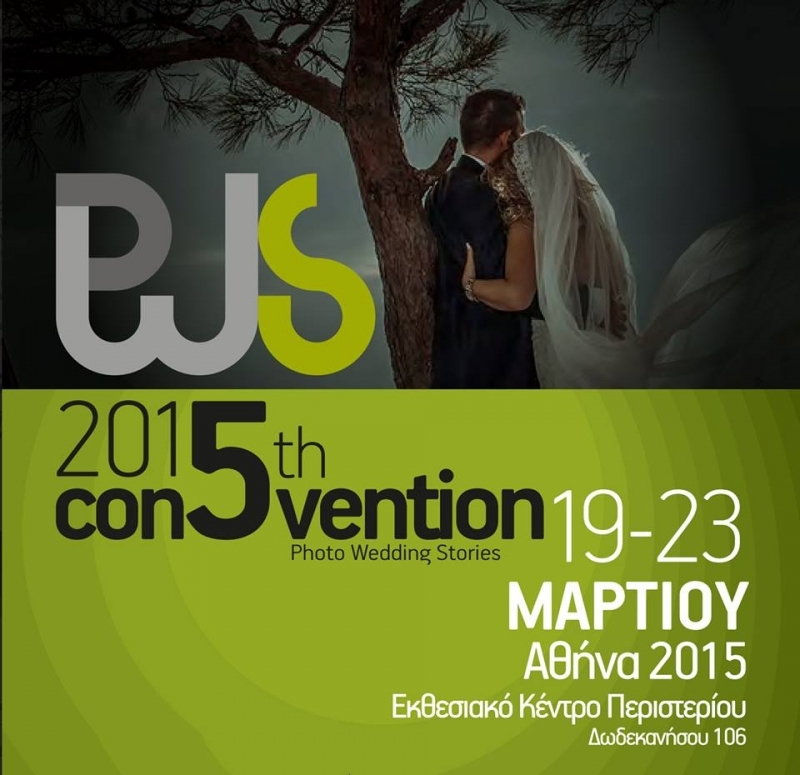 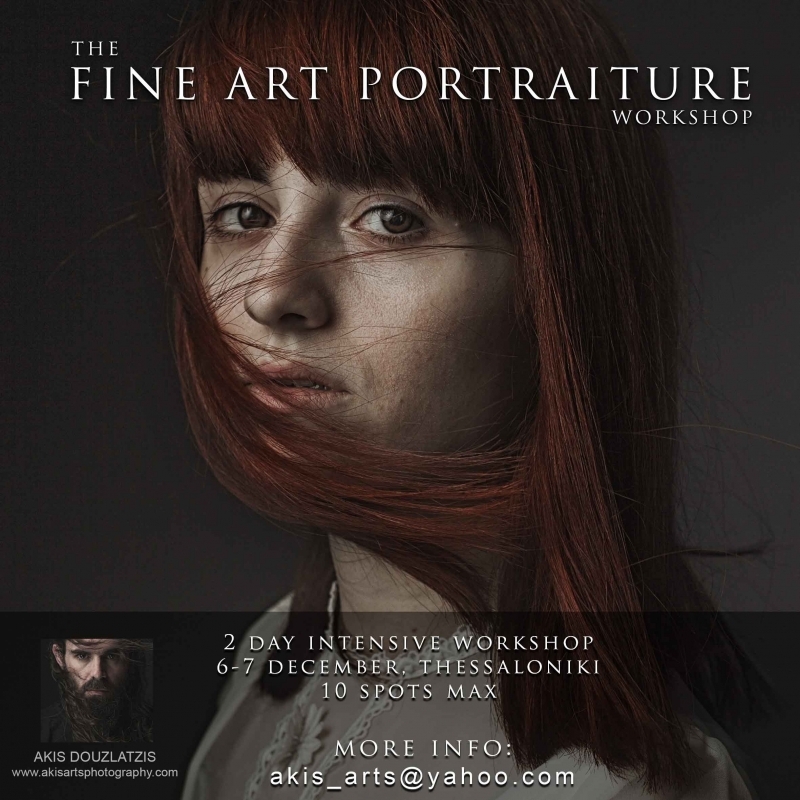 Akis Douzlatzis is a multi-award winning professional photographer, educator and a storyteller and conducts workshops and seminars worlwide. 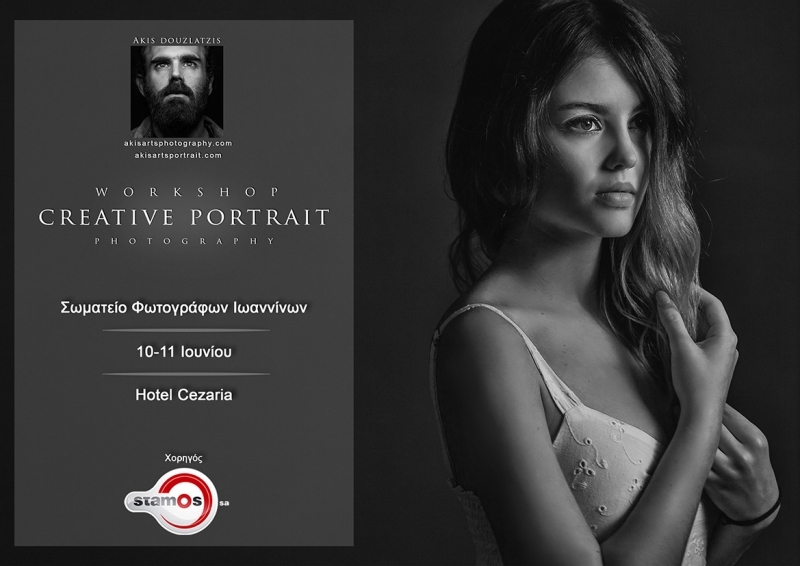 In this 2 DAY Intensive workshop you will learn how to shoot on studio in minimum space with minimal equipment. 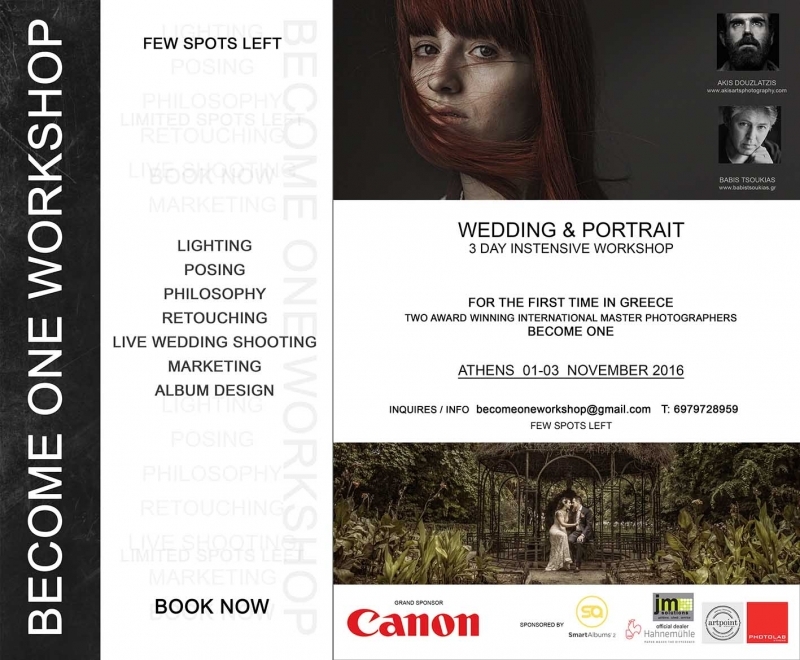 You will learn how to focus on subject and not in technical equipment using and understanding the principles of light . 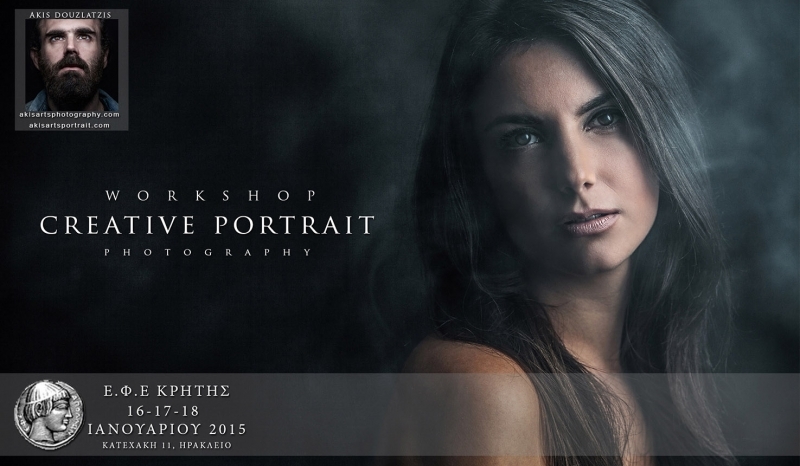 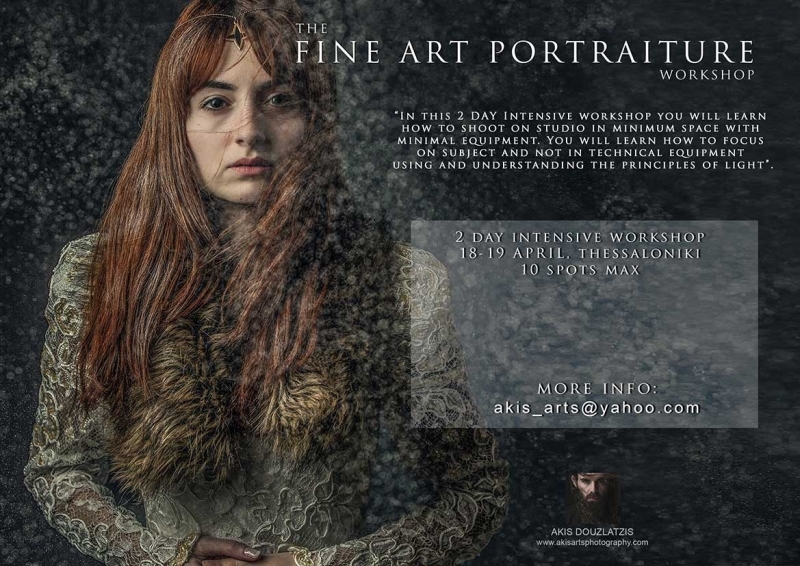 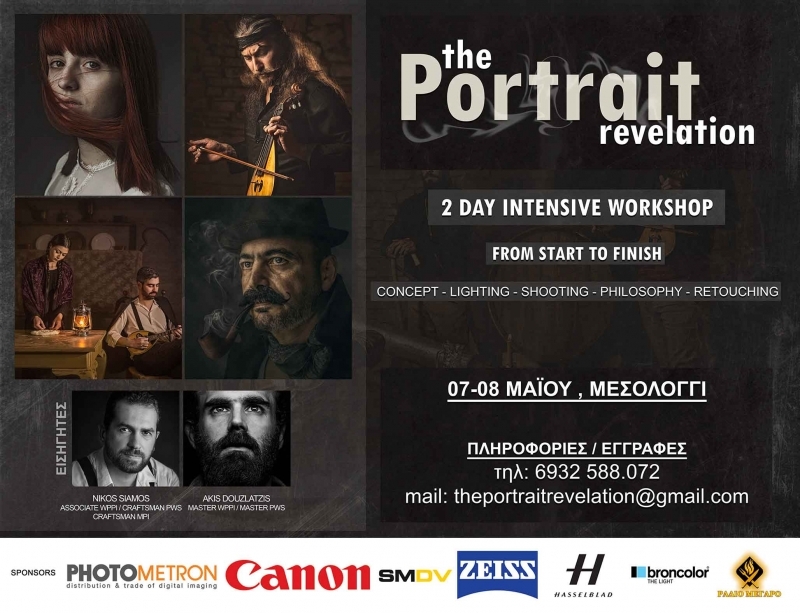 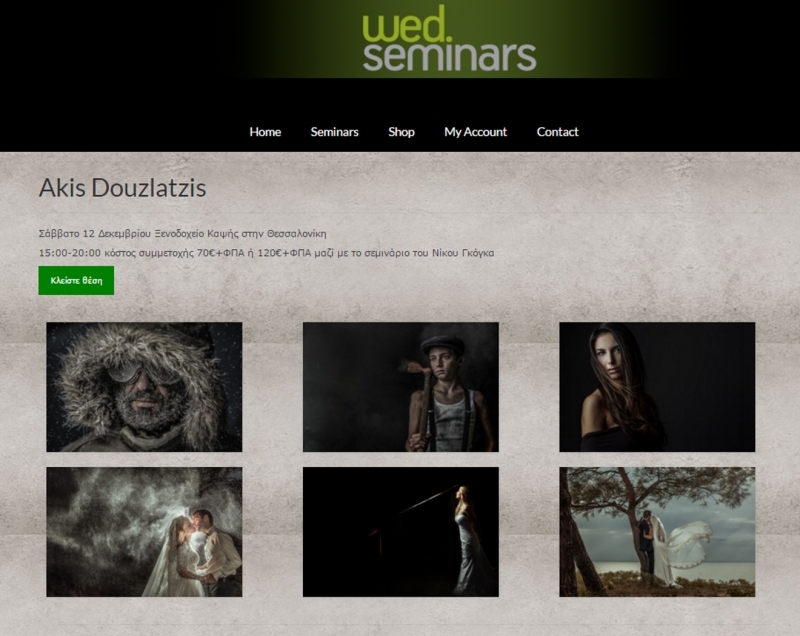 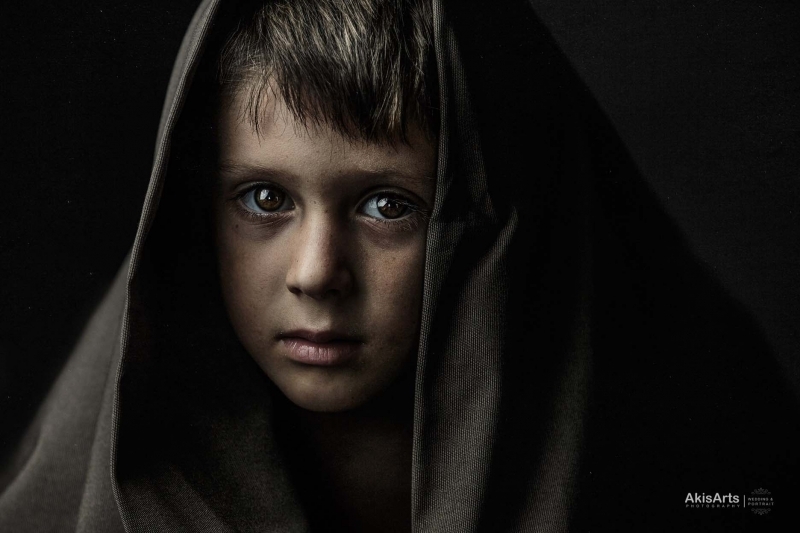 The meaning of creating fine art portraits Through this 2 hour masterclass Akis Douzlatzis(a master of wppi) will share his vision and his technique to all of the professional photographers who really want to push their bounderies and evolution their art.